Loving everything "horse" from the moment she could breathe, the unfolding of Kimerlee's life thus far makes perfect sense. The Hollywood dream moved her west from Minnesota but it was the heart of a horse that changed everything. Having worked on both sides of the camera Kimerlee has the natural ability of capturing emotion. Delivering imagery that is unique, dramatic and evocative. Emphasizing graceful lines, rich textures and a view of the horse not done before. The intimate connection she captures leaves the viewer imagining their very breath on your face. Her style is her own and has become increasingly recognizable. Influenced by photographic genius such as Herb Ritts, Nick Brandt and Kurts Markus. She has traveled the world capturing the essence and spirit of stunning horses. Yet, the allure of raw, wild, untouched beauty, rugged terrain, harsh elements along with the challenge of finding wild horses and the patience for them to trust her is the oxygen to her soul. Being mostly self taught, for many years Kimerlee's work was captured with inexpensive equipment and very limited resources, working many jobs to keep a horse in her life and film in her camera. Her love of the horse and perseverence for what she believes in, a desire to learn, share and educate through art and awareness has been a driving force for over 15 years now. Her work reflects passion, purpose and is fused with environmental consciousness. Dedicated to the cause Kimerlee's hope is to inspire others, not only to appreciate the beauty of these creatures, but to take an interest in helping preserve their place on this land. The same land that they allowed us to travel upon as we revolutionized this country not that many years ago. Now, sadly, America's wild horses are facing their final stand as we continue to round them up, stockpile them in long term holding and ship them off to destinations "unknown"...slaughter...while rapidly destroying our nations heritage. Kimerlee firmly believes by the history laid behind us, that we are destroying ourselves in the process. Kimerlee lives in the beautiful valley of Santa Ynez, CA with her two horses, a paint mare named Sequoia and a young newly adopted wild mustang el Regalo. She is represented by one of the country's largest fine art publishers, prestigious galleries along with national, international and celebrity collectors. Her work has been used in numerous advertising campaigns and product branding. Most importanlty, it has become a small voice for those who don't have one...our remaining wild horses. Wild Mustangs. Without them the great west was not possible. We traveled, explored and built this land by holding onto their manes and riding the spirit of their hearts. We can honor that gift by being their voice. These beautiful legends, magnificent symbols of freedom and grace are being shipped for their homes, families torn apart and an icon will soon be lost forever. It is my hope to not only celebrate the beauty and magnificence of the creatures but to help them. The are a living breathing history museum, a vital element in our heritage, to our eco-sysytem and to our humanity. To lose them would be a tragically irresponsible disrespect to our past, present and future. 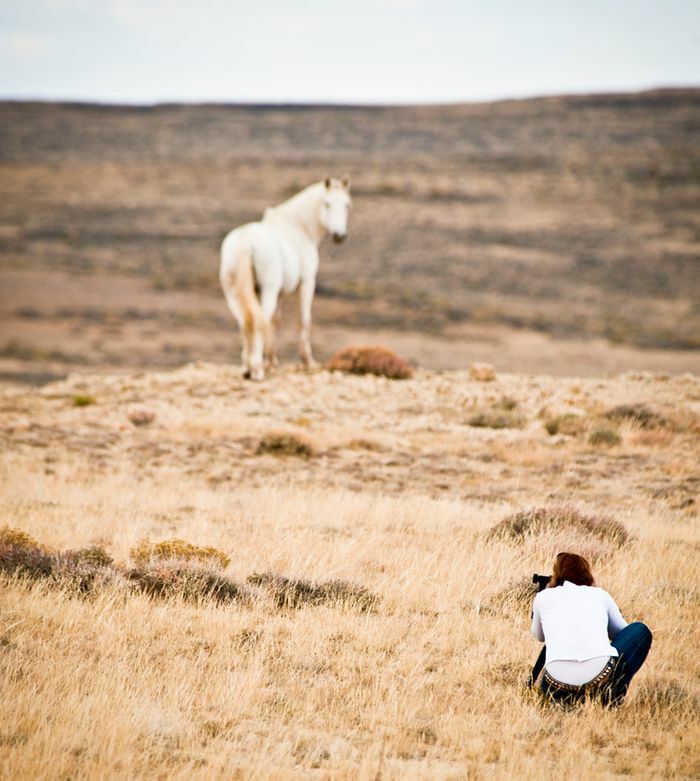 Kimerlee Curyl has been the premier photographer for Return To Freedom, American Wild Horse Sanctuary for 8 years. Kimerlee's dedication to the mission of Return To Freedom, and wild horses on the rangelands where they continue to fight to survive, has helped inspire programs and photography of wild horses internationally. Her work bears testimony to the emotional world of these magnificent creatures. Kimerlee Curyl speaks about her journey with wild horses over the past 14 years.